This post should be titled ‘1001 Reasons Guatemala Will Turn Me Into a Gordita.’ This past week I have discovered many food items that have significantly improved my quality of life. Let’s start with the tamalitos de chiplin that I discovered at a little restaurant called Cafe Luna. The photo above is all that remained of my tamalitos, because I scarfed them down before I was able to remember to take a photo, but, they were increible, cheesy and savory and yum. 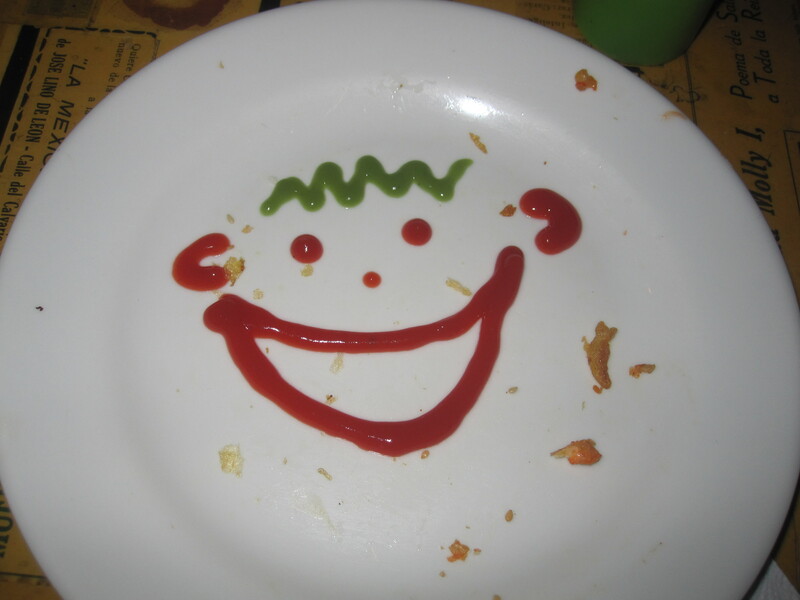 Last Friday we had an international dinner at the school, where everyone cooked something from their home country. 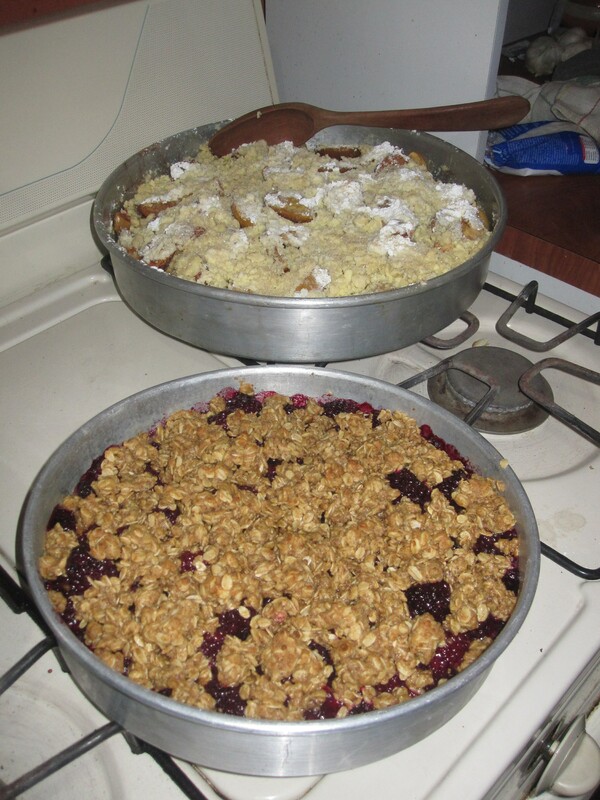 My friend Maggie from Kentucky had an awesome recipe for a blackberry crumble, and since blackberries here cost about $1 per pound, it was very easy to make. I took a picture because I was so proud of how it turned out, usually my baking skills only take me as far as the frozen cookie dough isle. This past Sunday I went with five girls to a little town about an hour away from Xela called Momostenango. We were able to visit a home where for five generations they have been making blankets and rugs by hand, and we were also able to see the big Sunday market. The family made us tortillas that they had ground the corn for that morning, with queso fresco, and now the tortillas in Xela taste like paper in comparison. 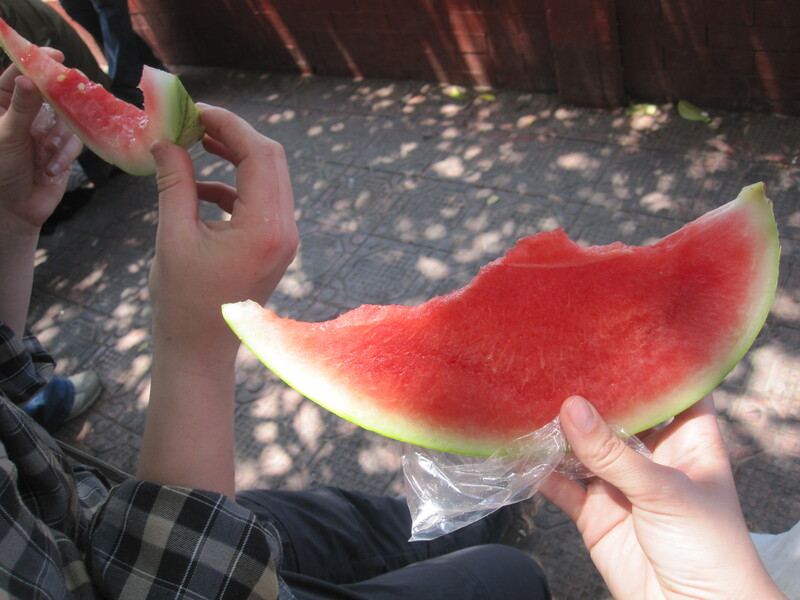 I also bought a slice of watermelon in the market for 1 quetzal, and it was truly the best watermelon I have ever tasted. It was really hot that day and we were all melting the whole bus ride back, so on the walk home we were happy to stumble upon an italian gelato place, I had the tiramisu flavor and it pretty much changed my life. They gave me a punch card where if I buy 4 more, I get a free cone. So far I have been able to resist, but I can already tell that it’s going to be a problem. I also recently discovered pupusas, a thick corn tortilla filled with cheese, beans and usually carne asada, and since the pizza here is terrible, pupusas have been filling that void. I started volunteering this week at a public school teaching English, and during the break between classes I found a tienda that sells frozen chocolate dipped fruit for only .50 quetzales. So far, I have tried the mango and the banana, both were equally delicious. 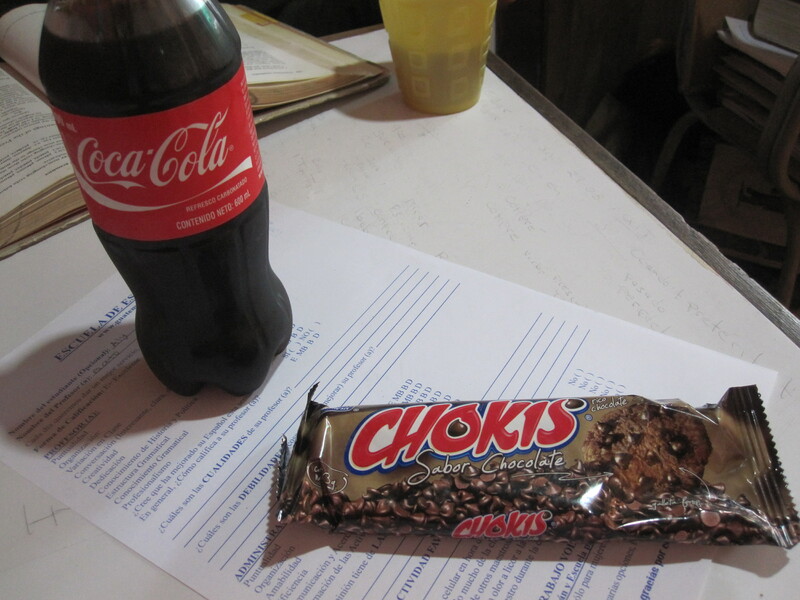 Finally, the photo above is of my daily purchase at the tienda next to ICA, Chokis are like the best Chips Ahoy you have ever eaten, and washed down with a cold Coca Cola, it is perfection. So, when I come home 20 pounds heavier, please still love me.